Be it on your mobile device, TV set or car – the FOKUS Business Unit for Future Applications and Media (FAME) develops future web technologies to offer intelligent services and applications. Our team of visionaries combines creativity and innovation with their technical expertise for the creation of interactive media. These technologies enable smart personalization and support future web functionalities on various platforms from diverse domains.The experts rigorously focus on web-based technologies and strategically use their open standards. Our FAME TV Lab is a testbed and marketing platform for components developed by the Business Unit FAME. The FAME TV Lab serves as a vendor and provider an independent technology testbed for research, experiencing and validation, standard-based development, test and demonstration environment for components and as a solutions communication and marketing platform. 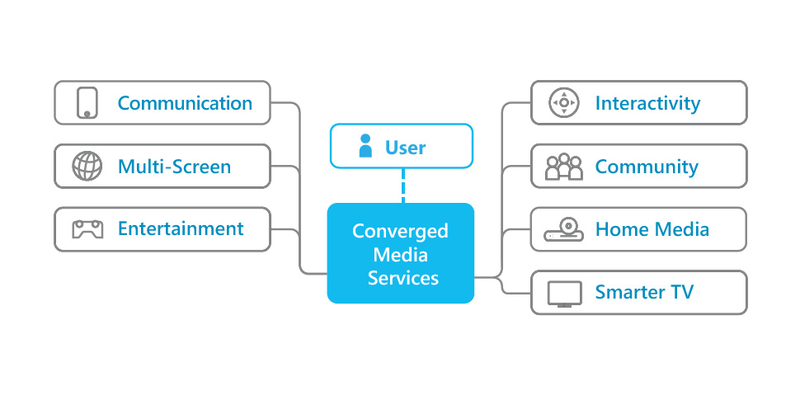 FAME'S main focus lies on Multiscreen Applications, Internet delivered Media and Personalization which are being supported by key technologies such as HbbTV, HTML5, Encrypted Media Extensions (EME) and Media Source Extensions (MSE). Our Future Web Technologies and Streaming Media Ecosystem named FAMIUM is a key solution for the end-to-end prototype implementation concerning early technology evaluation and interoperability testing and was developed and introduced by the Competence Center FAME. The portfolio is complemented by efficient Recommendation Systems and Social Network Management. The algorithms allow for an intelligent filtering of media content and thereby an exact adjustment of the applications to the personal interests of the use.